The olive tree and its fruit have stood as a symbol of abundance for thousands of years. Here at My Olive Tree, the incredible versatility of the olive fruit continues to amaze us. In ancient times olive oil was utilized in every aspect of the European and Middle Eastern culture. One way in which its flavor was enhanced was through infusing the oil with herbs and spices found locally, or purchased through traders from other parts of the world. Infusing olive oil is a way to add EXTRA flavor and aroma to the oil. Not only does infused olive oil add an additional zest to an already delicious meal, but it also makes for a beautiful and colorful gift idea for friends or family who love to cook. So, because it is that “tis the season” time of the year, we thought we would share a few recipes we are excited to try ourselves. What we love MOST about infused olive oil as a gift idea is that although it may look incredibly complicated, it really is quick and easy to do. So, if you’ve got an overly crafty in-law, who is always wowing you with their homemade creations, this would be a great way to connect with them, while also demonstrating your own creative prowess. 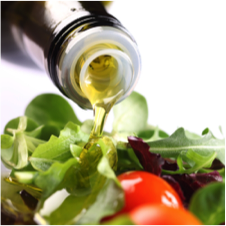 Use extra virgin olive oil with big flavor from a provider that you trust—like My Olive Tree for example. When purchasing ingredients use fresh, organic choices if available. Choose elegant labels that don’t overpower the rest of the packaging, but do let the gift recipient know what they’ve been given. 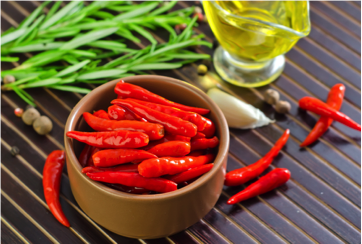 Combine the oil and crushed red pepper flakes in a heavy small saucepan. Cook over low heat until a thermometer inserted into the oil registers 180 degrees F, about 5 minutes. Remove from heat. Cool to room temperature, about 2 hours. Transfer the oil and pepper flakes to a bottle. Seal the lid. Refrigerate up to 1 month. In small saucepan, combine oil & rosemary. Cook over low heat until a thermometer reaches 180 F, about 5 minutes. Remove and let cool to room temp. Transfer the sprigs to a bottle, then add the oil. Seal and refrigerate up to 1 month. We hope you enjoy your fabulous creations, whether added to a salad, drizzled over pasta, or warmed and spread on fresh bread. These EXTRA additions to already delicious oil will have your friends and family begging for more! PLEASE NOTE: Storing and preparing your oil properly is extremely important as botulism can occur if the oil goes bad. If you are making these oils as a gift make sure to make them close to the day that they will be received. You can put a “use by” date on the bottom of the bottle or just let the recipient of the gift know when to dispose of the excess oil. 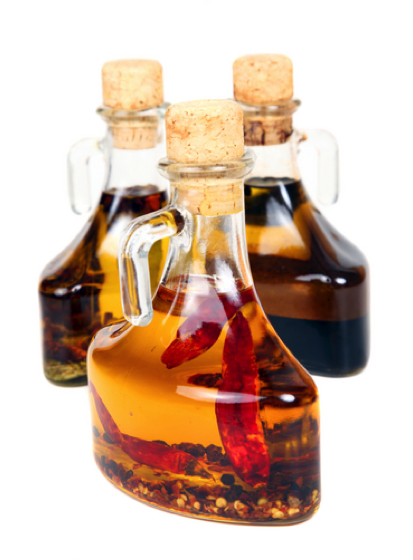 For more information about botulism in infused oil please see the information provided here http://umaine.edu/publications/4385e/.